← Did You Know That The G.E.D. Test Will Change in 2014? 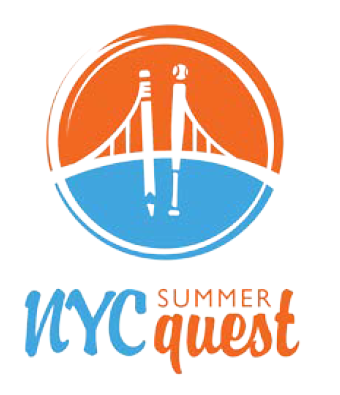 NYC Summer Quest is a free, five-week, full day summer learning program that provides elementary and middle school students with fun, hands-on enrichment experiences while strengthening their academic skills. DOE teachers and educators from community-based organizations collaborate to offer students Common-Core aligned instruction, enrichment activities, sports and recreation, and field trips. Last summer, 90% of parents surveyed reported that NYC Summer Quest was a good balance of fun and learning, and 90% of parents would recommend the NYC Summer Quest program to other parents. All elementary and middle school students attending public school in Districts 7, 9, and 12 are eligible to sign up through July 11, 2013. Capacity is limited. Priority enrollment is offered to students who attend the schools listed above. If your child attends one of the schools listed above, contact your school principal or parent coordinator to learn more and to apply. If your child attends an elementary or middle school in Districts 7, 9, and 12 and you would like further information, please email: nycsummerquest@schools.nyc.gov. You can read more about NYC Summer Quest at this link. Click here for a PDF flyer with the above information in English & Español. This entry was posted in Blog, Mott Haven, Opportunities and tagged BELL, Building Educated Leaders for Life, Children's Aid Society, DOE, DYCD, education, Elementary school, fun, Good Shepherd Services, intermediate school, junior high school, LEAP, middle school, NYC, NYC DOE, NYC Summer Quest, Oasis Children's Services, Partnership with Children, public school, school, South Bronx, summer, summer camp, Wingspan Arts, YMCA, youth. Bookmark the permalink.